AWWI’s work is built on innovation, collaboration, and sound science. 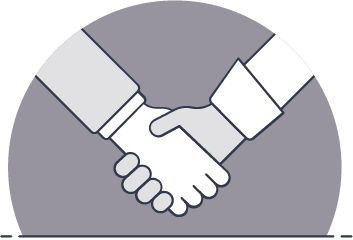 Through AWWI’s unique collaborative structure, we engage with a diversity of experts to develop innovative approaches and independent results. These results make it possible to understand risk and develop effective solutions for wind energy and wildlife conservation. AWWI provides new insights for understanding wind energy’s risks to wildlife through tools including new risk models and the American Wind Wildlife Information Center (AWWIC) post-construction fatality database. By using big data, these tools are reducing uncertainty and informing decision-making to help improve conservation. AWWI’s work advances cost-effective, scientifically-accepted solutions for wind energy and wildlife. Cutting edge technologies are making it possible to minimize impacts, and collaborative research identifies and addresses priorities through development of best management practices. Through synthesis and outreach on results, AWWI works with collaborators to ensure solutions are used to achieve conservation outcomes. AWWI worked with a diversity of experts to identify priority areas of research where we will focus in 2018 through 2020 to achieve key outcomes for wind energy development and wildlife conservation. The American Wind Wildlife Information Center (AWWIC), the most comprehensive post-construction fatality database in the U.S., is helping us understand collision fatality risk for birds and bats. The Technology Innovation program is a catalyst and expert forum for the development and evaluation of advanced technologies that are making it possible to minimize impacts. Collaborative research informs siting and best practices for avoiding and minimizing impacts. AWWI is developing new compensatory mitigation options for when impacts are unavoidable. 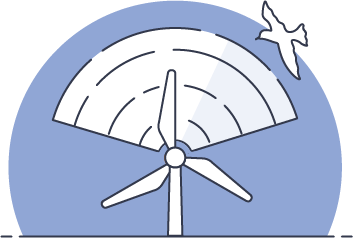 This white paper provides guidance on the technical details for integrating wildlife impact minimization technologies into operating wind energy facilities. This White Paper provides an overview and review of what is known about wind energy’s impacts to bats, incorporating findings from the recent AWWI technical paper on a new analysis of post-construction fatality data. The paper also discusses the tradeoff of expanding wind energy to meet urgent emissions mitigation needs and accepting some uncertainty about risk to bats.